The first time I ever tried yerba mate was at a teahouse in Burlington, Vermont. As I slurped the lukewarm tea out of its strange metal straw, it tasted to me like someone had submerged a hunk of sod in a bucket of water and then left it sitting in the sun on a hot day. In other words, this first act of drinking mate was completely removed from its proper context. Yet, the flavor and texture itself wasn’t so far off from the bitter, smoky beverage I have come to drink regularly since moving to Argentina. For those unfamiliar with it, mate is a beverage with nearly the same amount of caffeine as coffee but with some of the effervescent and more uplifting (i.e. less anxiety producing) effects of tea. It is widely consumed in Argentina, Uruguay, and Paraguay, making it an important cultural symbol of this region. The national drink of Argentina, the country is the world’s largest producer, and the majority is consumed internally. In fact, according to a study by IBOPE Argentina, 92% of households drink mate. Mate is, indeed, completely ubiquitous here. Every day I see people toting their gourds and oversized water thermoses on sidewalks, in parks, and at work. I’ve even seen toddlers in strollers gripping the gourds that appear oversized in their tiny hands. 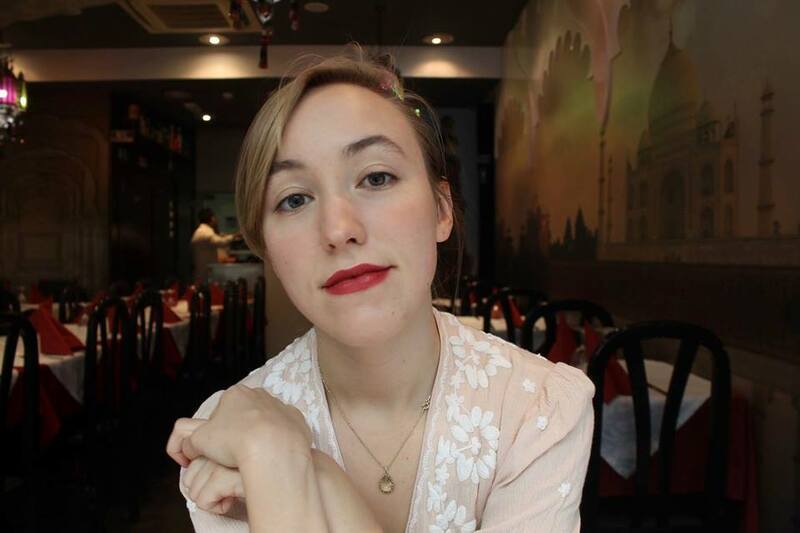 It is common among congregations of construction workers, passing the tea around to each other while on break, and equally so to find stockpiled bags of yerba stowed in the pantries of high-end apartments in the chicest neighborhoods of Buenos Aires. The gourds themselves have grown as diverse as the array of people who take part in the custom. You can find them in myriad different colors and sizes, ranging from the traditional leather to bright red and neon pink plastic. The tea is prepared and consumed with adherence to communal rituals, and what I’ve come to learn is that here is where lies the magic of the drink, the thing that has caused me to transform the swamp water concoction I had tried in the US all those years ago. Many of these rituals are marked with components that seem designed to bring people together. For example, the gourd is passed around in a group, where one person serves it and everyone drinks from the same bombilla, a metal straw with perforations in the bottom used to drink the tea. In other words, learning to love the beverage has had little to do with craving its flavor and more with the experience of community I’ve come to associate with it. While it’s sometimes possible to find it served in cafés, far more often people drink mate with their familiars at home. 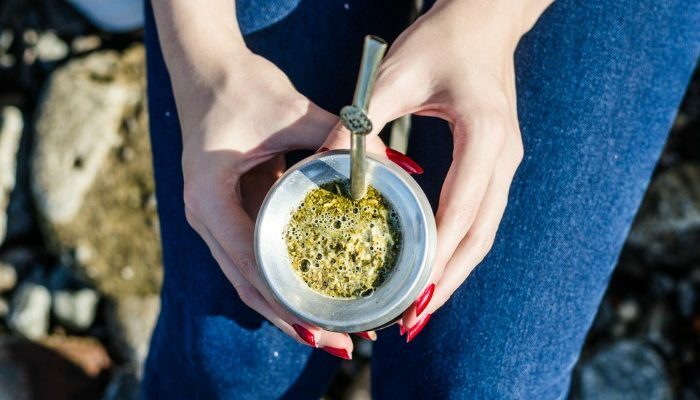 As commonplace and casual as it is, to be invited to share mate is to be welcomed and, by extension, the amplitude of mate drinking is also symbolic of Argentinian hospitality. While I have come to understand the act of drinking mate as being second nature for people in this part of the world, I always relished in a sense of initiation and a certain camaraderie that happened when I, a foreigner, expressed willingness to share the drink that seems synonymous with claiming this nationality. The feeling only grew – along with my know-how – in succession with each time I shared it with someone new. There was the time when the first friend I made here invited me over to drink it on a rainy Sunday afternoon, as we lazed around listening to music and talking, perched on a window seat in one of Buenos Aires’ many high-rise apartment buildings. There was the time I drank it nearly nonstop when I spent time at a homestay with an Argentine family over the holidays. I was nervous to be so deeply immersed when my Spanish was still a work in progress. When I conveyed that I liked mate, they happily included me in the rotation, and it put me so much more at ease. There was the time I met an Argentine at a hostel in Uruguay just after I had finally bought my own gourd. 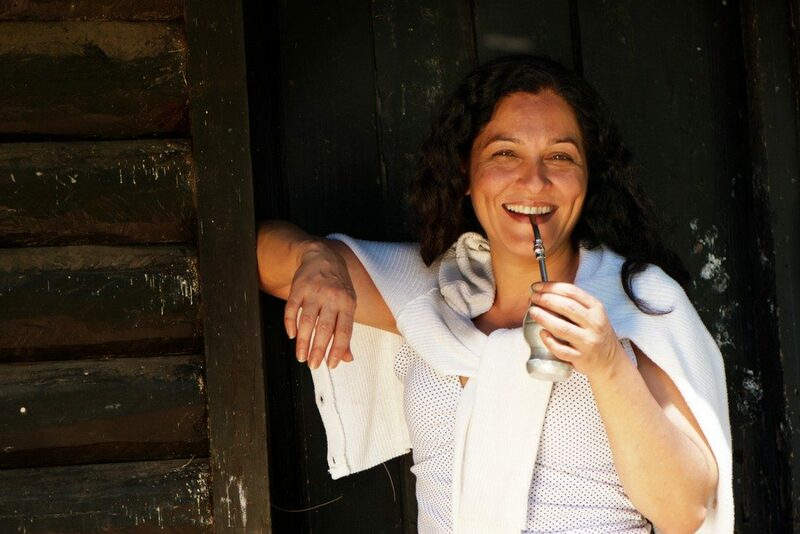 When I sat down to breakfast – gourd, bombilla, and yerba in my arms – I sheepishly asked him if he was Argentine before I attempted to prepare it, for fear of making a gringa of myself by preparing the tea wrong. He thought this was amusing and warmly helped explain to me the proper technique, adding that his father taught him when he was very young. Sharing mate broke the ice, and we were inseparable for the rest of the trip. There were many times when my Spanish teacher and I continually passed mate back and forth, chatting faster and with more intensity as the caffeine hit. At times, this gesture transformed us from student and teacher into good friends engaging in lively conversation. I think we both had an implicit understanding that I was getting more out of this exchange than I was memorizing verb conjugations. There was also the time a friend and I shared mate in the late summer sun, laying on the grass in a park on a day off from work, a proper digestif to the choripan sandwiches we scarfed down beforehand. 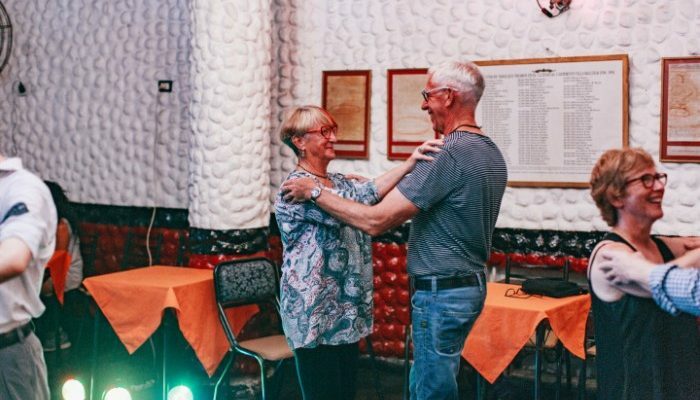 It was one of the first moments since coming to Argentina that I felt like I’d moved from being mere acquaintances to sharing lasting friendship that would endure long after my departure. 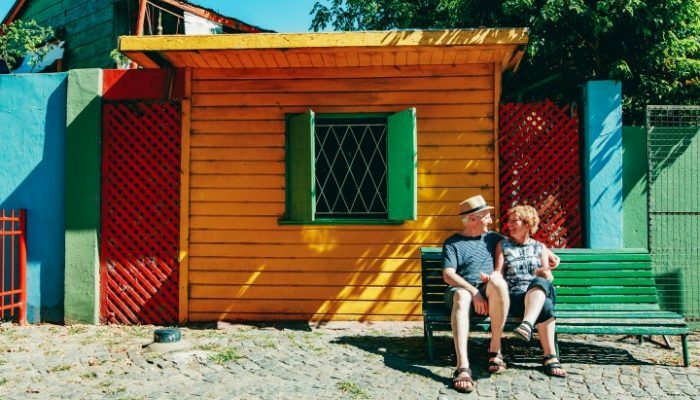 Being here I am continually touched by the cariñoso ways of Argentine people, their generous expressions of hospitality and care. As a foreigner I think the acquired taste of mate comes from the fact that drinking it in the customary fashion serves as a direct physical manifestation of this. I view this sentiment as the secret ingredient that was lacking for me as an outsider the first time I drank it years ago. I’ve come to see the mate drinking culture as a symbol for the way that people here really take care of their own, whether it be older relatives, or new friends from other parts of the world – like me. 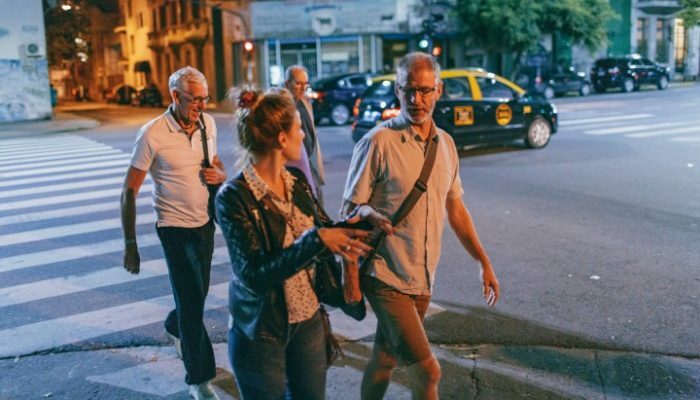 Salaries are low and there’s been a good deal of political and economic stability over the last decades, but time and again I’ve been touched by the sincere graciousness of the Argentine people, whether I experience it firsthand or simply witness it occur between strangers on the street. There’s certainly always some mate to go around. 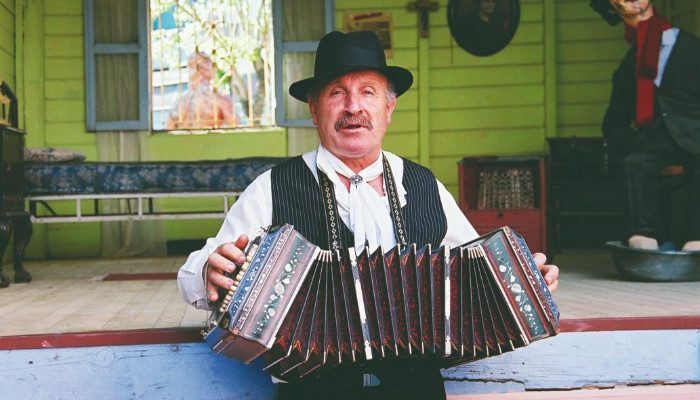 Discover Argentina like a local on a small group adventure with Peregrine. View our range of tours here.